Winsted's 21" Vertical Top Module Side Panels (Black) are designed to work with the System/85 console system, an extensive line of ruggedly constructed vertical equipment racks that have interchangeable components consisting of welded frames, vented side panels, tops and pedestals -- the modular design makes the system easy to reconfigure or expand at any time. 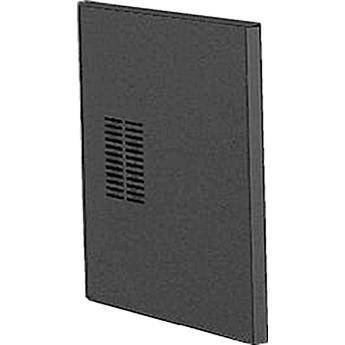 The vertical side panels are for Winsted's models 92013 and 93013. The black color scheme is visually pleasing and compliments the Winsted rack line. This vertical side panels are part of a console system that has a lovely contemporary design in black. The console is engineered to install quickly thanks to Winstead's exclusive interlocking cross bars that connect in the front and the rear.